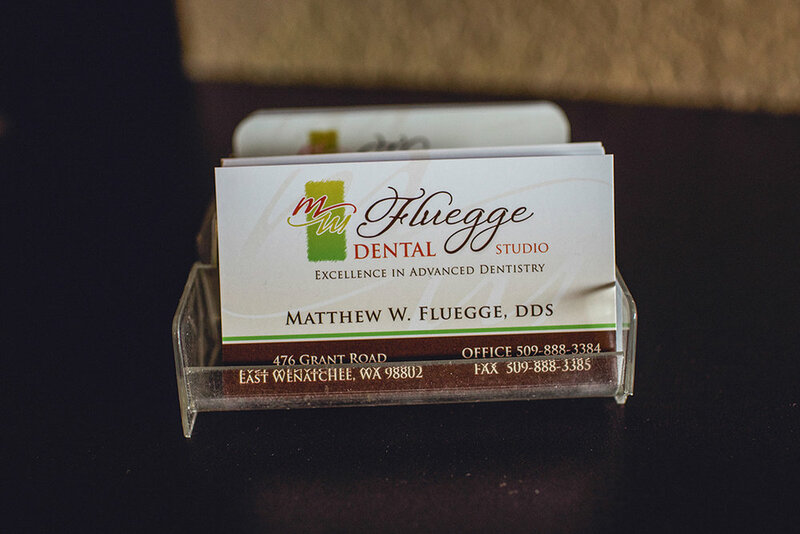 Dr. Matthew Fluegge has been creating beautiful smiles in the Wenatchee Valley since 2001. With his vast knowledge and attention to detail, he is one of the top restorative and cosmetic dentists in the Valley. Dr. Fluegge believes in giving back to the community. Over the years, many deserving individuals have received complete, “free of charge” smile makeovers through the “Ultimate Smile Makeover” contest. Dr. Fluegge graduated from Albia High School in Albia, Iowa. He then attended Indian Hills Community College in Ottumwa, Iowa to earn his associates degrees in arts and sciences. He then transferred to Creighton University in Omaha, Nebraska. After two more years of undergraduate studies, he entered Creighton University School of Dentistry. In May of 2000, Dr. Fluegge earned a Doctorate in Dental Surgery. He has been practicing in the Wenatchee Valley since 2001. In his free time, Dr. Fluegge enjoys being in the outdoors with his four young boys and beautiful wife, Heidi. Kris is a native of Wenatchee and is proud of her family history in the valley that goes back almost 100 years. She and her husband, Brian, have 3 children Amber, Nate, and Brooklyn, along with 3 grandchildren. Kris’ decision to work in dentistry came early. During high school, she started her career in the dental field. After graduation from WHS, she moved to Yakima where she obtained her degree in Dental Hygiene from YVCC. Kris joined Fluegge Family Dentistry in 2016 and focuses on building long term, trusting relationships with her patients and enjoys helping each patient achieve the smile they desire. When not working, Kris enjoys traveling, hiking, snowshoeing, yoga, and spending time with her family and friends. Shannon has been a proud member of the Fluegge Dental team since 2009. She enjoys being a dental assistant and focusing on creating a safe and relaxing environment for her patients. When not at work, Shannon stays busy as a wife and mother. She enjoys family activities, cooking, and sharing her passion for photography with friends and family. Mandy was born and raised in the Wenatchee Valley. She attended the Eastmont School District all her life and graduated from Eastmont High School in 2001. Shortly after high school, she attended Lake View Medical Center in Seattle and completed their dental assistant program. Mandy has been a full-time employee at Fluegge Dental Studio since 2003. Mandy is the mother of two boys. Breanna Sasseen was raised in the Wenatchee Valley. She graduated from Eastmont High School in 2002. She attended Wenatchee Valley College for 2 years, and then transferred to the Yakima Valley College - Dental Hygiene School. Breanna has been part of our team since 2007 and enjoys spending time with her husband, son, and dog. Jessica was born and raised in the Wenatchee Valley. After graduation from high school in 2007, she moved to Bellevue, WA to attend North Shore Dental Assisting Academy. Shortly after completing her training she relocated to Wenatchee and joined the Fluegge Dental Studio team in 2010. Jessica has two children.